Branson is a popular vacation destination in the Midwest where you can enjoy world class live entertainment shows, exciting activities, outdoor adventures, great shopping and dining opportunities, and more. 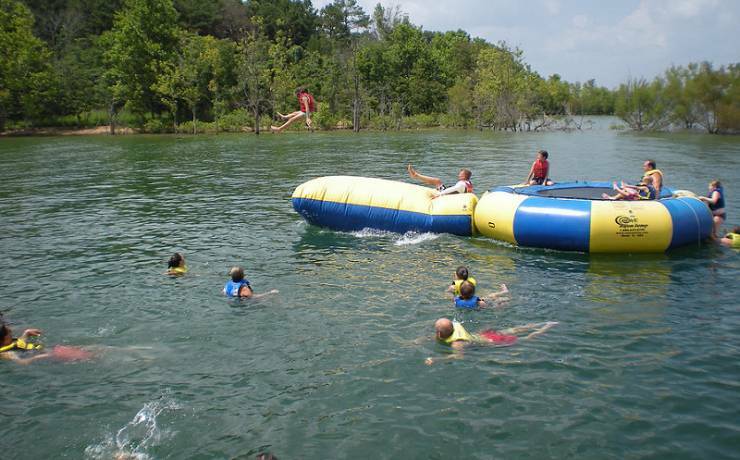 As this great vacation spot is home to three pristine lakes, this is a perfect place to enjoy outdoor fun in Branson. Aside from exciting attractions that you can enjoy in Branson, you can find many outdoor water fun spots that can help you beat the summer heat. Some of these water fun spots in Branson include the Castle Rock Resort and Water Park, White Water Park, Table Rock State Park, and State Park Marina. The Castle Rock Resort and Water Park is a popular water park where it’s great to enjoy outdoor fun in Branson. This water park features 150,000 gallons of water providing fun-packed activities for all ages. At Castle Rock Resort and Water Park, you will find indoor water park that has an area of 30,000 square feet and 10,000 square feet of outdoor water park, two 500 gallon tipping buckets, multiple indoor and outdoor kiddie pools with waterfalls, rain showers, themed water slides, and more. At the indoor lap pool, you can swim or play basketball, dip through the two large three-story thrill slides, relax on the multi-level sun deck, or enjoy for a ride on the lazy river. 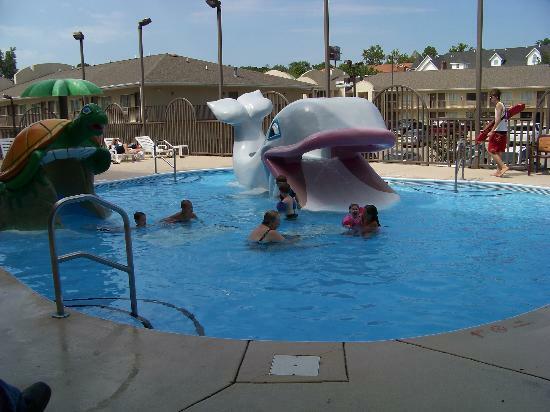 The park features Outdoor Kiddie Splash Pool, a great way to enjoy outdoor water fun activities. Weather permitting, you are sure to enjoy in this pool that features multiple themed kiddie slides and 500 gallon tipping bucket. The Activity Pool at the park features various activities that are offered throughout your stay. After enjoying a full day of exciting water activities on the Kiddie Splash Pool, it will be great to treat your family with sumptuous food at the Tower Grill. Located right on-site, the grill features an array of favorite dishes where friendly service and relaxing atmosphere will make your stay a memorable one. The White Water Park at Silver Dollar City is another great place to enjoy water fun activities. During summer time, it’s great to enjoy water ride with the KaPau Plummet at the park. This great water ride adventure features two dueling 240-foot slides that launches riders into a 70-degree plunge. This water ride surpasses any water ride thrills ever constructed in Silver Dollar City. The thrill riders on each of the 240-foot slides can experience an exhilarating and breathtaking thrill ride as they are encapsulated in a slide ride that begins from the top of the 40-foot tower. This exciting attractions and heart pumping thrilling ride has a speed of 26 feet per second on a free fall. White Water Park in Silver Dollar City is the only water park in Branson that offers speed water slides, water-blasters, super-soakers, and a wave pool. The park also features Kalani Towers, a 310-feet long slides which is a racing thrill slides of 6 lanes. The two lanes feature a 75-foot free fall drop lanes while the other four lanes are for racing with friends at a speed of 40 mph down from the height of 7 and a half story. White Water is the only park in the Ozarks that features the largest selections of water rides and water attractions. This summer season, it is great to enjoy a thrilling water ride adventure and splash into the fantastic cool water of the playground in the park. Water enthusiasts in the White Water Park’s 7,000 feet of slides will surely enjoy a variety of thrilling and exciting water rides. From speed-slides and twisting typhoons to soakers and great geysers, water riders will surely enjoy every moment with the thrilling water rides at White Water Adventure Pools in Silver Dollar City. Table Rock State Park is one of the best vacation spots in the Midwest that offers the most exciting water sports adventures. Table Rock State Park in Branson features water skiing, waverunners, tubing, boating, and more exciting family fun adventure in the lake. The state park also offers parasailing, scuba diving, guided fishing, and fantastic sailing with the 48-foot sailing catamaran “The Spirit of America”. The boathouse at the park offers anything you need on the water, from snacks to sunscreen, apparel, bait, fuel, tackle, and more. If you want to spend the whole day on the lake with your family or friends, it will bring a memorable and unforgettable experience that you will remember all your life. Table Rock State Park in Branson is also home to many boutiques, full-service dive shop, the new Oasis Hawaiian Shave Ice, and Danna’s BBQ. The State Park employs staffs who are always ready to assist you to have fun during your fascinating summer vacation on the beautiful Table Rock State Park. Table Rock State Park boasts 356 acres of space which is ideal for great outdoor activities including water fun adventures. The park allows easy access to Table Rock Lake which is one of the most visited tourist destinations in the state of Missouri. Table Rock State Park which was created in 1959, is one of the 80 state parks and historic sites maintained by the Missouri Department of Natural Resources. The park offers camping, hiking trails, boating, picnicking, and a full-service marina. This state park draws thousands of visitors year round from all over the country. Aside from water fun activities offered at the park, you can enjoy your stay in a campground as it features three shower houses, laundry facilities, and staff to assist you to have an enjoyable stay. The state park maintains about 162 campsites and two thirds of it can be reserved in advance. Campers can only take available remaining campsites on a first-come first-served basis. The State Park also features two trails which are great for hiking, biking, or horseback riding. One of these trails is the Chinquapin Trail which has a short distance and is perfect for families with young children. The Table Rock Lakeshore Trail has a distance of 2.2 miles long and spans along the lake with a paved path which is ideal for biking enthusiasts. At Table Rock State Park, it is interesting to see the shades of colorful trees on the well-guarded and well-maintained campgrounds. You can also enjoy a leisurely walk in the lakeside for a wonderful and nature filled vacation in this beautiful State Park in Branson. While you are enjoying your stay at the park, later in the day, you may want to get the chance to experience exciting attractions in the heart of Branson such as the world-famous live entertainment shows, great shopping, and fine dining. If you are looking for a great park where you can enjoy different kinds of water sports adventures, the State Park Marina in Branson is the place to go. Located at Table Rock Lake, the park offers an array of different styles and sizes of boats for rent such as waverunners, pontoon boat, premier slide boat, wake boat, ski boat, luxury triton, and bass boat. Well trained staff members of State Park Marina are always ready to help and guide you on your water sports activity you want to enjoy in the clean waters of Table Rock Lake. So, if you want to have an exciting outdoor fun in Branson, be sure to check out these water fun spots as they can help you beat the summer heat.